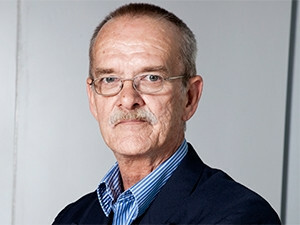 More mobile device fraud is on the cards, says Vernon Fryer, CTSO at Vodacom. Increasingly sophisticated attacks, skills shortages, a lack of buy-in by business and a shift towards attacking mobile devices are among the biggest challenges to infosec practitioners in SA, say sponsors of ITWeb Security Summit 2015. Speaking prior to the event, Symantec country manager Sheldon Hand said the biggest challenge today is the complexity and sophistication of the attacks that enterprises face. He believes cyber criminals will shift their focus from attacking companies to concentrating on targeting "mobile, cloud and the Internet of things". IBM security and privacy consultant Dusty Boshoff concurs: "I think the focus will shift from the organisation to the individual on tactics focusing on social engineering. I work with online financial fraud on a daily basis, and what I see is not the attack on the organisation anymore, but attacks on individuals to get into the organisation." Boshoff says infosec improvements are being hindered by a lack of buy-in and support from business. "It is very difficult for security practitioners to successfully implement security protocols within an organisation when they have resistance from the business." "We are going to be seeing a lot more mobile device fraud taking place," says Vodacom CTSO Vernon Fryer. He also flagged infosec skills shortages, both locally and abroad, as a big challenge faced by the sector. The 10th annual infosec event from ITWeb is a 'must-attend' experience for every IT and security professional and senior manager with business and information management responsibilities. Click here to register. His comments were echoed by Craig Rosewarne, MD of Wolfpack Information Risk: "This impacts just about every single place that we have seen. People are rolling out technologies without the right skills to manage them." "Delegates at the summit will benefit from this event by being exposed to current research, trends, and new products that are being released will help them to understand what security implications we have, understand what cyber security threats are, and what has changed," says says Dimitri Fousekis, COO at Telspace Systems. They will be able to plan ahead for the future on how to better secure themselves, both individually and from a company perspective, he adds. ITWeb Security Summit 2015 takes place at Vodacom World, Midrand, from 26 to 28 May. Click here to find out more and to register.